What Are The Topics Covered In A CNA Training Program? A Certified Nursing Assistant is an important job in any area of health care. With modern nurses having so many duties, it is almost necessary for them to have an assistant in doing a lot of the duties that they may not have the time for. These are duties such as: bathing a patient, helping a patient use any facilities that they need to, feeding patients, making beds and many other duties. These carers are some of the least respected group of workers in the workforce considering the work they do for anyone in any kind of hospital. 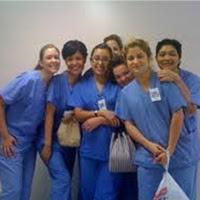 To become a Certified Nursing Assistants, one of the more popular routes is quickly becoming the online option (which you can find here: www.CNAOnlinePrograms.net). This is happening because the course can be flexible and the classes can be taken at any times, as well as the advancements in technology. Because of this, schools offering these courses have changed them slightly so that you learn from the same curriculum online as you would in the classroom. The only exception to this rule is having to find your own in-clinic hours at a local hospital or nursing home, whereas going to a school on campus; you would have someone aiding you in your search. So, what will you be learning in one of these programs? You will learn the basics of the CNA job description, which include learning things such as: how to keep and maintain a sanitary patient area, how to properly bath a patient and many more. You will learn the basics of nursing, communication with your patients, anatomy, physiology and proper patient care, and there are many more interesting areas which you can indulge yourself in. While these are some of the more important duties of a CNA, you will find out more as you go about your course and learn every piece of information you can. I have tremendous respect for Nursing Assistants, as they helped comfort my mother when her father was not in the best place, and I hope anyone in this job can offer this kind of help to anyone who is in need. I have been an occupational therapist for the past decade now. Helping people lead a fulfilling, satisfying and a healthy life is something that has always given me a great amount of joy. I also love writing about matters concerning health, occupational therapy and other related fields because I feel people could benefit from my years of experience.